Implanted in a rural camp, Brooklyn and her friends are cut off from their families and the outside world. Each day is filled with combat training to assure their safety against the crazed, belligerent, and deadly— those infected with a mysterious virus. After being assured day after day that the world outside their little camp had been compromised, Brooklyn’s cabin-mate, Dawson Winters, finds a letter that turns everything they’d known upside down. There is a world outside the trees that surround their camp, and the virus they’d all come to fear seems non-existent. On the outside, Brooklyn finds the world is as normal as ever. But when they are attacked in the city, they dispose of their attackers far more efficiently than any normal human. Is there more to Brooklyn and her friends than just being highly trained? Betrayal, love, death, and a powerful sense of camaraderie lead Brooklyn and her friends to fight for their life, their freedom, and most of all, each other. Taylor, it was a pleasure reading your book. When I read books I like to vision the setting, the characters, and what is happening in my head. This book is full of descriptions that helped to enhance the vision more clearly. Lets me talk about some characters real quick. Brooklyn and Gabriel are best friends who have each others back. The romance between Brooklyn and Porter gave me the awws. Throughout the book, I was like just tell him you like him! Brooklyn knows Porter held back information but she continues to trust, confide, and finally let herself fall for him. Dawson and Gabriel’s relationship was sweet as well. When Dawson shoots the Surro of Gabriel he shows no emotion and continues to lead his friends to Seattle. It tore my heart out when Dawson confided in Brooklyn of how he really felt for Gabriel. I also enjoyed the dialogue between the characters. It took me back to the good old days when a bunch of my friends and I got together. They are truly likable characters who act their age. I like the fact that they all try to stay together. No one is wanting to go separate ways. They work as a team to decide on what their next step is and I think that is a great aspect of the book. Although the story can be a quick read it just seemed to drag. 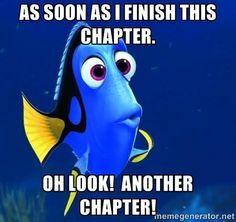 There were times when I felt the story was being told to me instead of laying everything out for me to understand as I was reading. There are some unanswered questions that I want to know the answer to. Did Brooklyn and her friend’s parents know they were injected and how did they get injected by some stranger? I wished the author added more suspense and surprise to the story. While reading I could tell what was going to happen next. The author gave it away while leading up to the conflict. I would say when leading up to a conflict give it a twist to throw people off, that way it will grab their attention and want to keep reading. 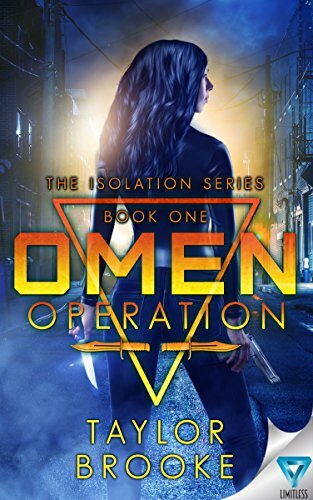 If you are interested in the Omen Operation (Isolation Series #1) you can find more information at Amazon , Goodreads, and Taylor’s website. Taylor Brooke is the author of the science fiction adventure trilogy The Isolation Series. After receiving eight professional certifications in special effects makeup, working on countless projects, and fleshing out a multitude of fantastical creatures, she turned her imagination back to her one true love — books. Taylor has had a knack for writing since she was a little girl, and received recognition for her skills throughout grade school and junior college. When she’s not nestled in a blanket typing away on her laptop, she can be found haunting the local bookstore with a cup of tea, planning her next adventure, and fawning over baby animals.